"Granite Park" as it is known is owned and run by Gail Moore. 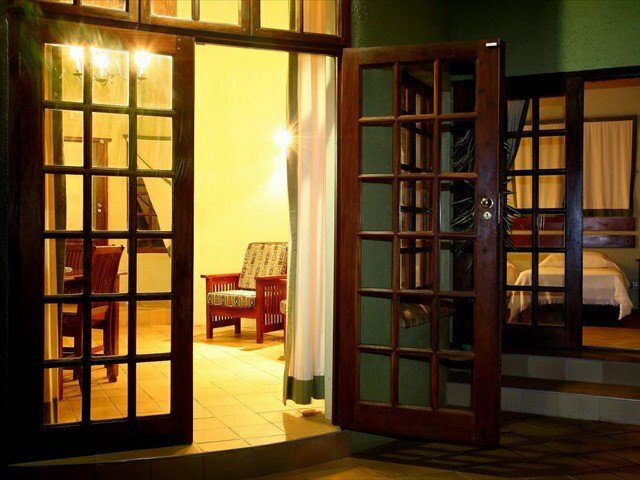 We stayed here overnight on our last trip through Bulawayo and what a find it was. 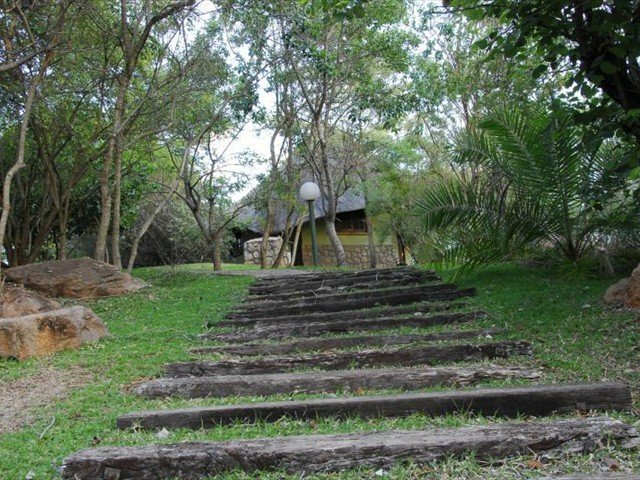 "Granite Park" is a private Bulawayo lodge with a rural setting but is only ten minutes from the city centre, nestled amongst granite rocky outcrops. The area has been carefully cleared to allow access for people but leave enough natural bush for the bird and animal life to remain. It is stunning!!! 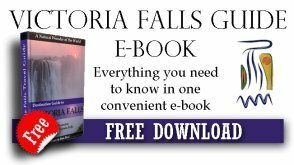 There is a picturesque waterfall cascading into a natural swimming pool for your pleasure. It is here that the Dassies may show themselves whilst basking on one of the granite outcrops. 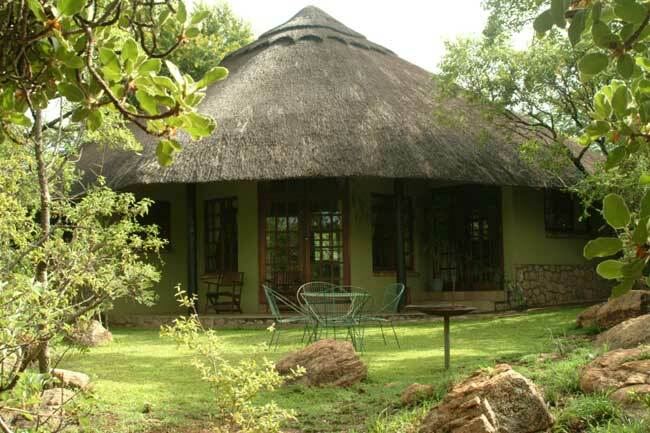 This Bulawayo accommodation option is on eight acres and is on route to the magnificent Matobo Hills. 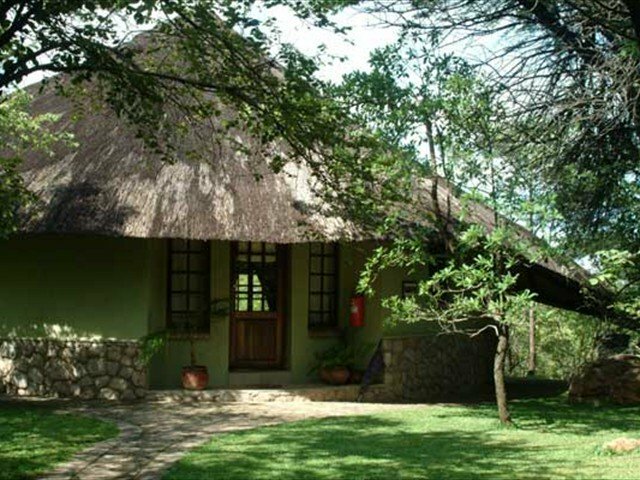 The thatched self-contained chalets, have been newly constructed and have been fitted out to highest quality. The kitchens have teak units and are fully equipped, including fridge and stove. The bathrooms are beautifully tiled and very clean. 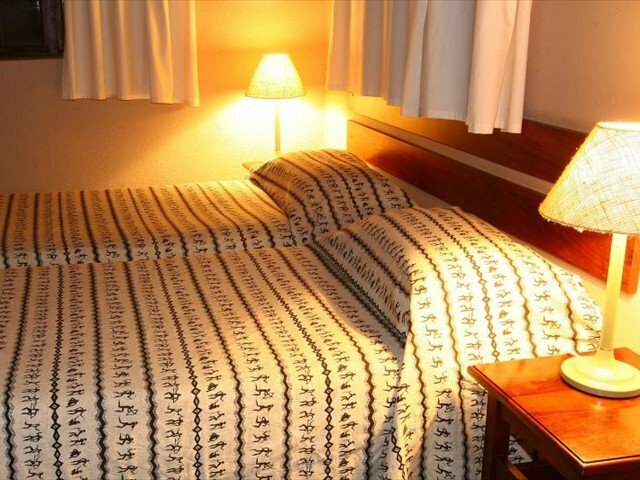 There is a separate double bedroom with the convenience of a sleeper couch in the lounge and capable of accommodating four people with ease. Camping and 4 x 4 bush site have ablution facilities with hot shower and flush toilet. It is on a lawn site and has an electrical outlet and access to wireless internet. They have received official AA accreditation "Highly Recommended"
We love how Granite Park Lodge is in a private rural setting, yet easily accessible, with enough natural bush for birds and animals.